Denny Jump (Bellevue, WA, United States) on 21 December 2017 in People & Portrait. A rare image of this married couple ...featuring yours truly and my wife Barbara. Of course, it's not all wine and roses. But Barbara is my rock and she keeps me on the right path. 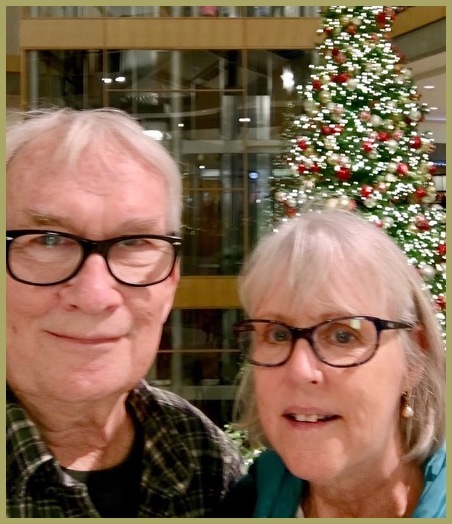 Technically, this is not the best quality image (a selfie with my iPhone), but my beautiful Barbara more than capably makes this image quite enjoyable. Ah, 49th ! It's great ! You make a lovely couple, Denny, and in this day and age your achievement of many years together is not to be taken lightly. It requires mutual respect and friendship for that kind of rock steady love to stay in bloom, and I couldn't be happier for the both of you ! @Rick: Thank you so much, Rick! Truly an honor to receive your kind congrats..and SO great to be rapping (old hippy teem ;-) with you again these days ;-) Thank you!!! Wow, happy 49th to you and Barbara!! You are just a couple of years ahead of us. Happy celebration. Congratulations to you both! Diana and I celebrated our 47th yesterday. Congratulations to you and Barbara, Denny! !